Our first open studio week in July was greatly enjoyed by everyone, so we are putting on another one at half term in October, running from Monday 22nd October to Thursday 25th October, 1.00 – 4.00pm. 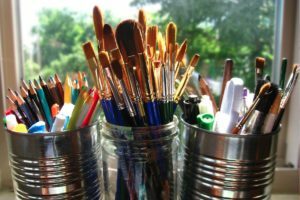 Still life arrangements and natural subjects will be on offer over four friendly, relaxed sessions led by Sarah Kensington, a professional art tutor. Come for as many sessions as you like; stay for as long as you like. Perhaps you would like a chance to improve your drawing, or maybe you are a complete beginner. Suitable for all levels of drawing ability. Ideal for GCSE and A-Level art students too. £10 per session – all are welcome. Most materials included.